She drove from New Orleans to New Mexico, cherry-picking the best spots along the way. Everything about Solange's latest album, A Seat At The Table, is worthy of admiration. As usual, the singer left no detail unaccounted for. This resulted in the immaculate presentation of songs and visuals that have been all anyone has talked about for the past week. 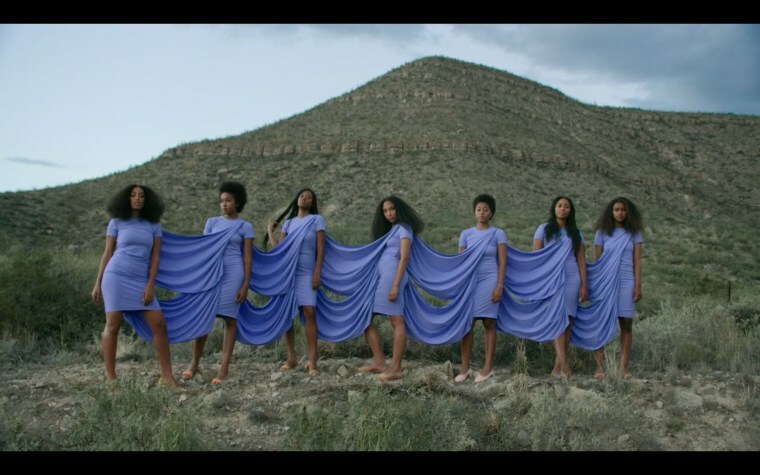 Solange has emphasized the importance of location in the making of the project. With her director/husband Alan Ferguson (pictured above), she visited a number of visually captivating sites to film the videos for ASATT; she sings in "Cranes In The Sky," I traveled 70 states, thought moving round would make me feel better. Here are a few of the beautiful locations where Solange filmed "Cranes In The Sky" and "Don't Touch My Hair." 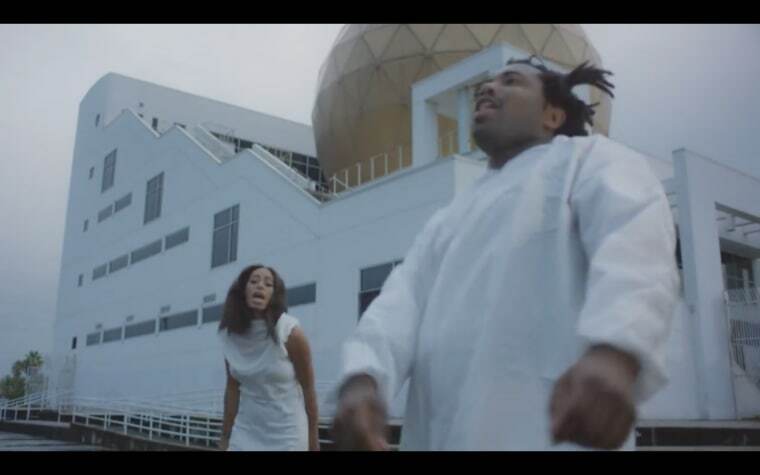 Solange filmed "Don't Touch My Hair" in New Orleans, Louisiana. Here she dances at the Peristyle in City Park, designed in 1907 to host parties. Now it's a well-know site for weddings and photo shoots, as well as being a destination for park relaxation. Filming in another part of City Park, Solange and her models pose here in front of the New Orleans Museum of Art. Solange returned to her hometown of Houston to film on the steps of the not-for-profit Alley Theatre for "Cranes In The Sky." The theater was built in 1968, but you see it here after the 2014 renovations. Leave it to Solange to find a place as cool as the Chong Hua Sheng Mu Holy Palace to film at. The best part? Believe it or not, the palace is located right in Houston, TX. This third Texan location is a vintage-looking indoor pool at Texas Tech University. Solange told Vogue that she drove from New Orleans to Houston to New Mexico to film "Cranes In The Sky" in nine different cities. Along the way she got some beautiful shots of the deserts in New Mexico. 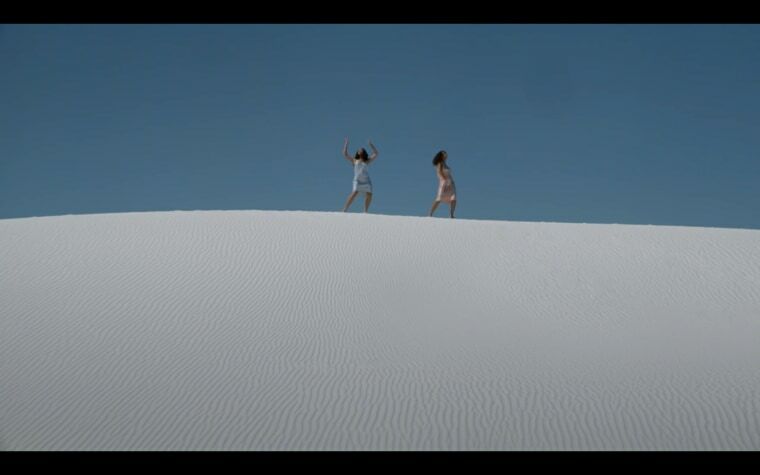 White Sands Monument, New Mexico, plus Solange Knowles. Could you even think of a more stunning visual? 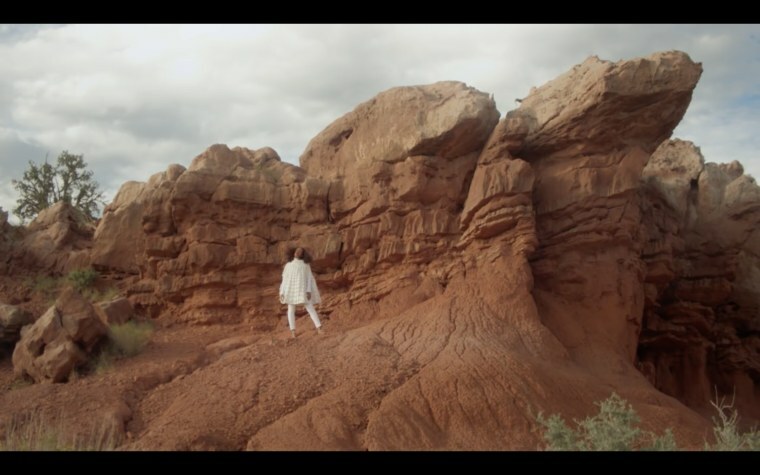 And finally, here's Round Mountain in Mescalero, New Mexico because Solange against these mountain backdrops is just so compelling we had to add a few.